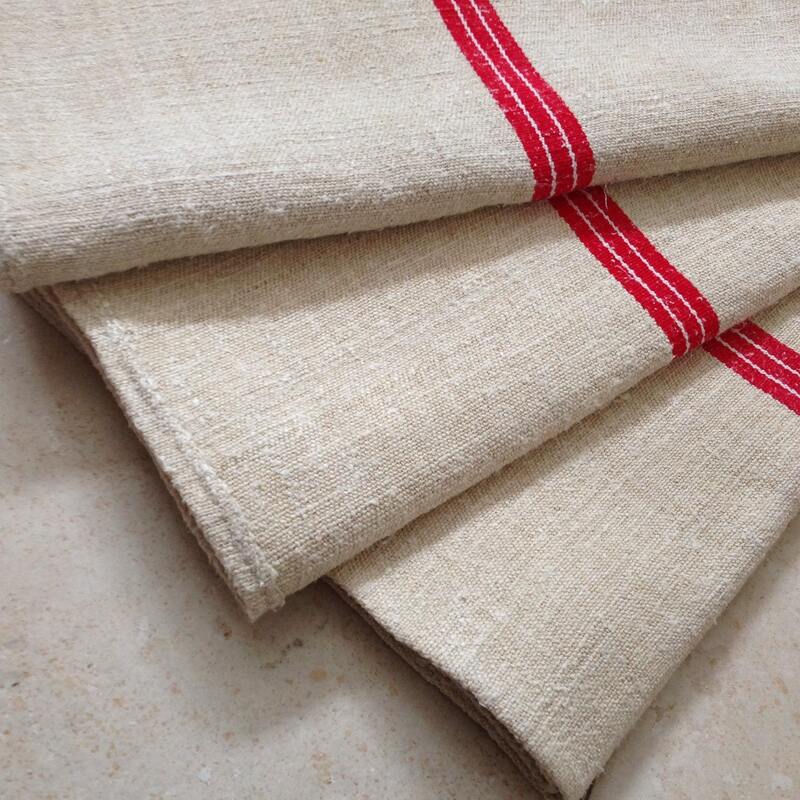 This vintage Hungarian linen grainsack has been handspun and homespun pre 1940, it is very durable fabric, with hand stitched seams, the fabric has a wonderful texture to touch. 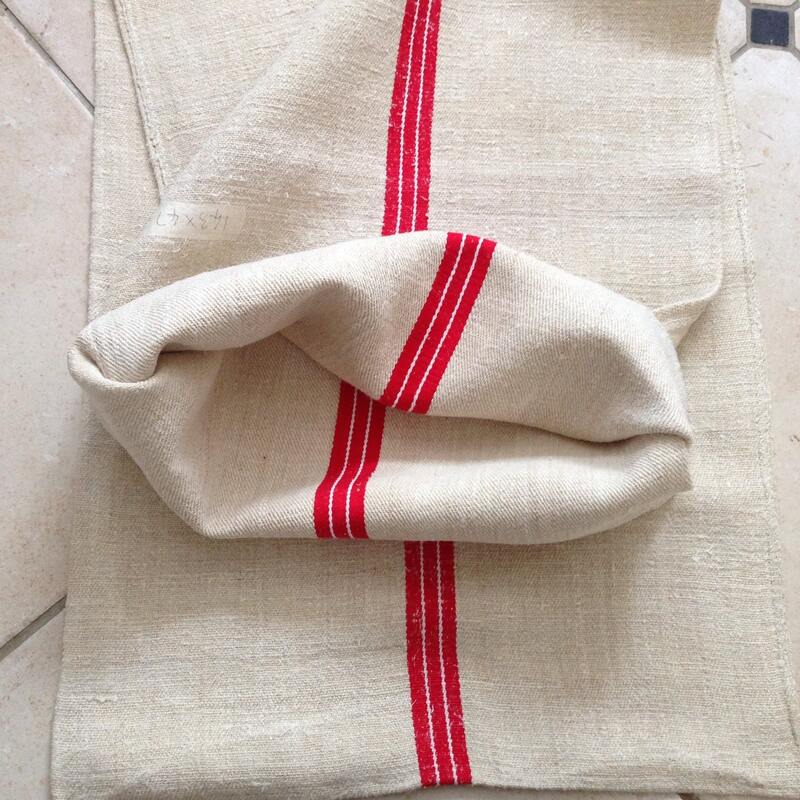 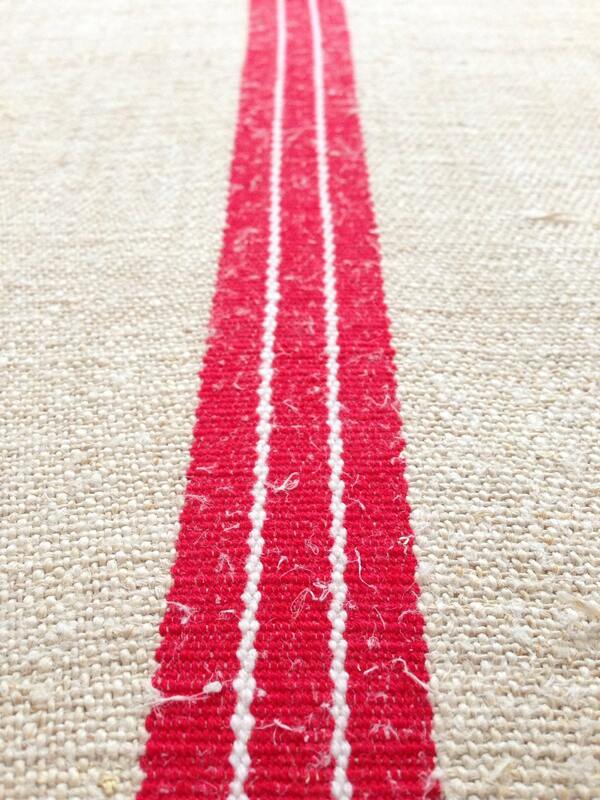 Mid-weight vintage Hungarian linen, this grain sack is natural sandstone with 3 red stripes and 2 thin white stripes in between the red, woven into the linen. 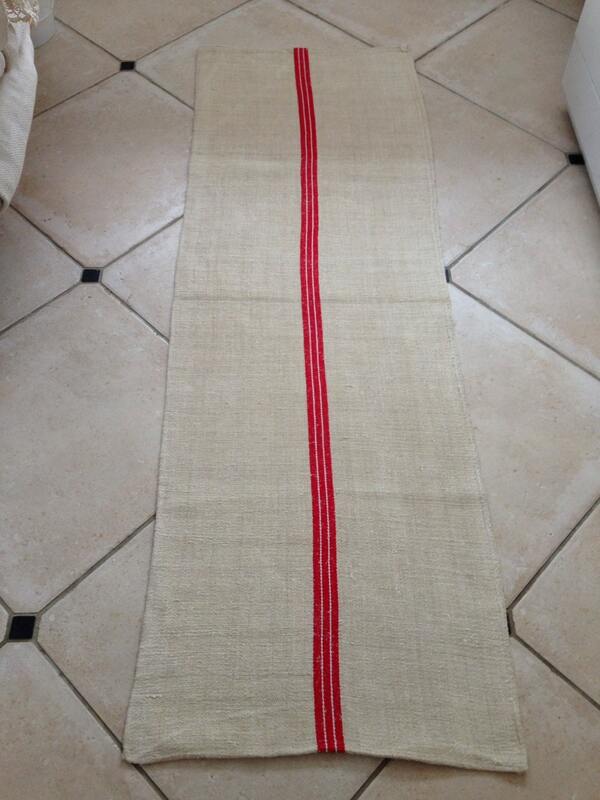 Length: 137 / 53.93 inches - This listing is for 1 there are 3 available, select quantity in drop down box. 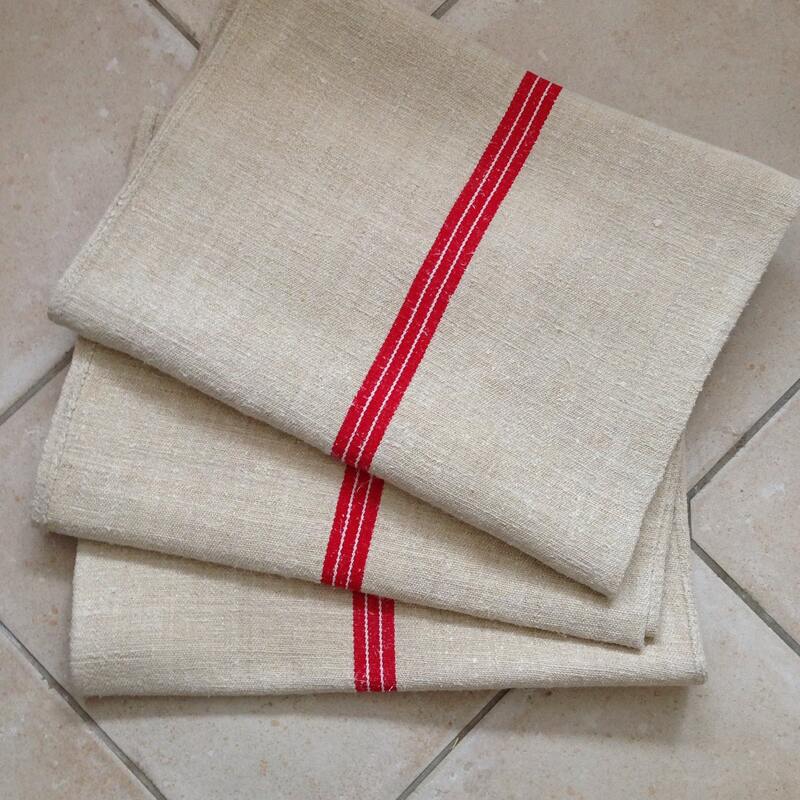 Being matching these are idea for upholstery projects or cushions.